Her humanity lost forever, Wonder Woman embraces her true nature as the God of War to battle the armies of Nemesis! It’s been a while since I’ve posted. Been busy on a handful of projects. Some are out now (Wonder Woman: Future’s End, Secret Origins), and some are coming in the next year (Convergence). So, just a quick post or two promoting the new works, and hopefully I can find some time to post some art from these books. Felt like a bit of unwinding from spending the day inking, so I spent some time after lunch (and a bit after dinner) playing with Corel Painter. After picking up the Art of The Guardians of the Galaxy book, and the score to the film, I was in the mood to do Gamora. Not the movie version, but the classic version from the 70’s. 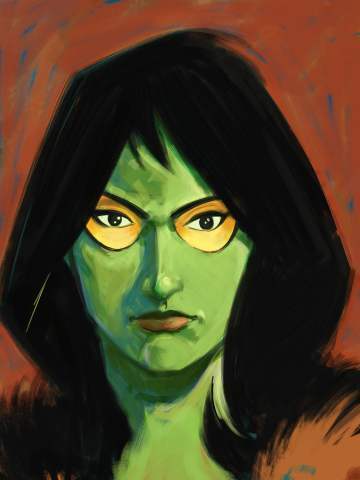 Maybe I’ll do a portrait series of all the Guardians…. 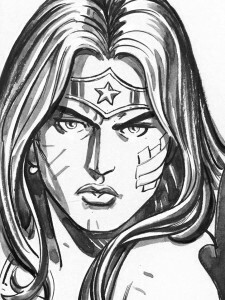 Here’s a small sample of inking I did over Rags Morales’ pencils for Wonder Woman: Future’s End #1. Interesting approach to this job… Rags started inking the job and was using watercolor to add grey values to the drawings (which will then be digitally colored) I followed his lead, and add the greytones as well. 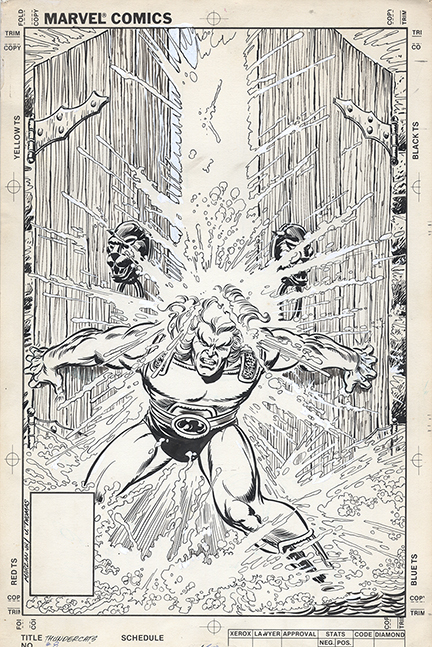 The job recalls the black and white magazines Marvel did in the 70’s and 80’s. Looking forward to seeing the printed book. It’s scheduled to ship in September. 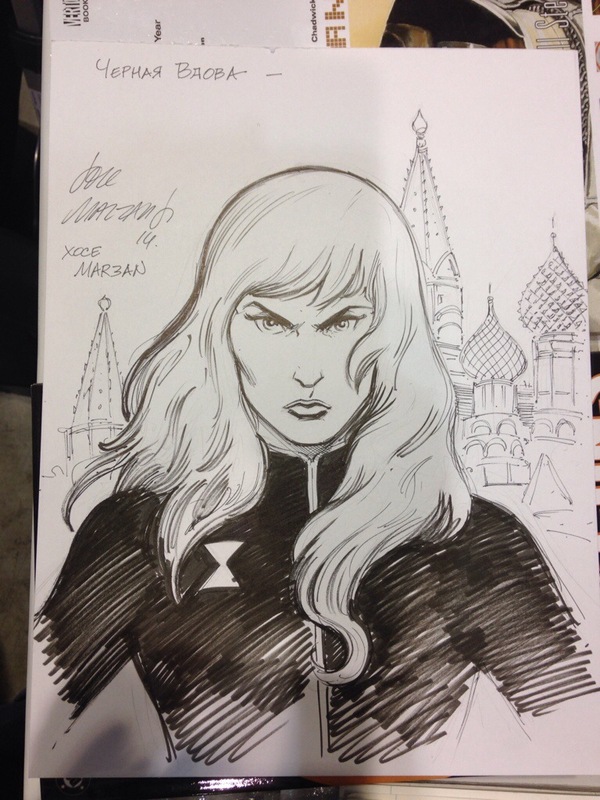 Here’s a Black Widow sketch I did for a collector at MegaCon back in March. I think I messed up the Russian spelling of my name. My Russian is oh so bad. I read it oh so slowly. Writing it is worse. 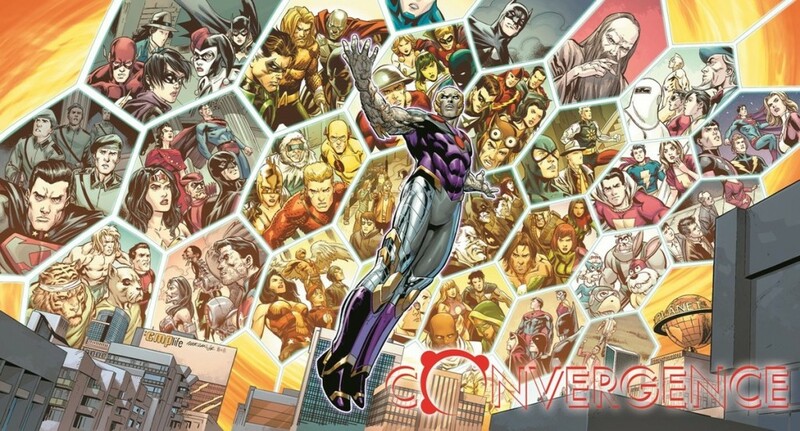 Had a great time at HeroesCon 2014 in Charlotte! Good times spent with friends, pros and fans. 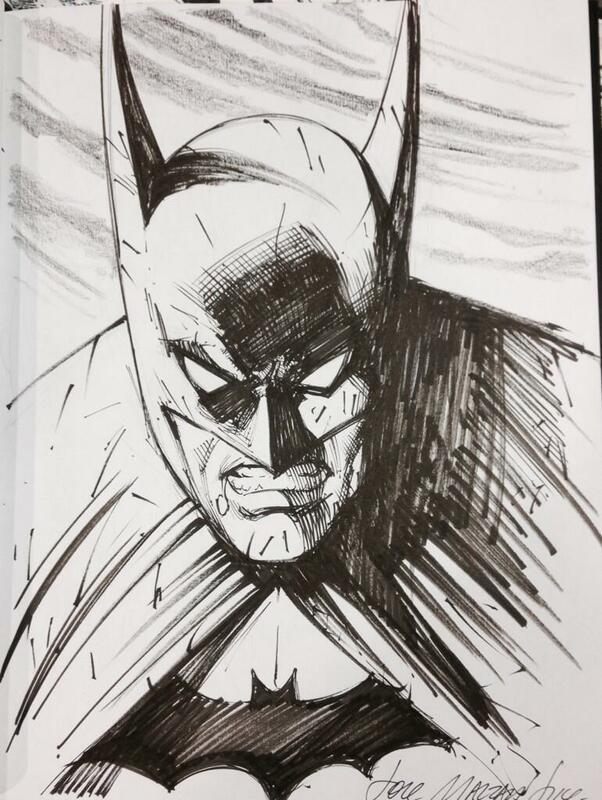 Here’s a Commissioned Batman sketch I did at the show for a fan. 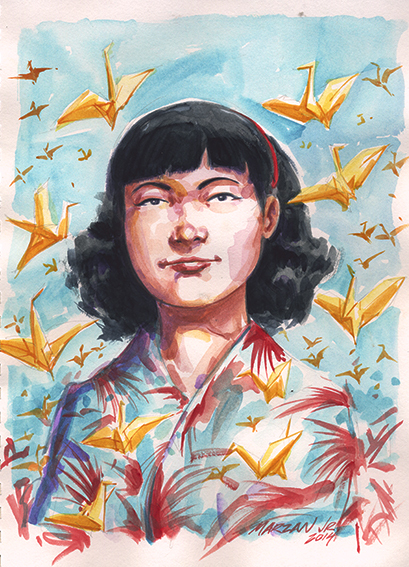 Commission of Sadako Sasaki for a collector.